Day spa offers hair, nails, LipoMelt light therapy for fat reduction, makeup, massage, facial services and more for brides and weddings, proms, and men in Dutchess County NY Poughkeepsie, Fishkill, Wappingers Falls, Hopewell Junction, Beacon, NY. 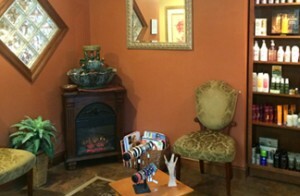 Calm your mind and soothe the soul in a warm comfortable environment at Soul Therapy in Dutchess County NY. Come in and share an experience in beauty as our talented and creative technicians combined with our top-rated products provide you with more than just a service. Sip on a warm cup of tea or a glass of wine as you relax and unwind. Our spa offers Hair Design and Color, Skin Care and Body Treatments, Massage, Full Body Waxing, Makeup, and Nails. Soul Therapy is a Spa & Wellness Concept Salon, therefore we feature Natural Products and Healthy Alternatives. 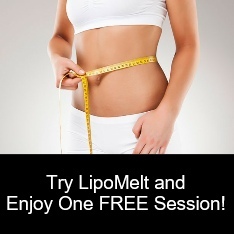 Try our new LipoMelt light therapy if you have unwanted inches to lose around those problem areas including your waist-line, arms, and legs. Our goal is Health combined with Beauty. Our focus is you, our client. We look forward to being of service to you. Beautiful Fishkill offers up its best-kept secret, Soul Therapy. Soul Therapy offers you that special edge you are seeking, a great look, and a soothing and comfortable environment. Compliments will be yours after visiting Soul Therapy, whether you are after a new look or improving on your existing one. With the most unique handbags, wallets, scarves, sterling silver and costume jewelry, Soul Therapy offers excellent services for men and women. Our selection changes regularly so be sure to come by every time you are in the area! We our conveniently located in Dutchess County, NY serving Poughkeepsie, Wappingers Falls, Hopewell Junction, Fishkill, and Beacon areas in Upstate NY.